The fall of Zimbabwe’s long-time president Robert Mugabe in 2017 had brought hope of a turnaround in the country’s fortunes. But aspirations for economic reforms have failed, with foreign currency and basic commodities increasingly scarce. 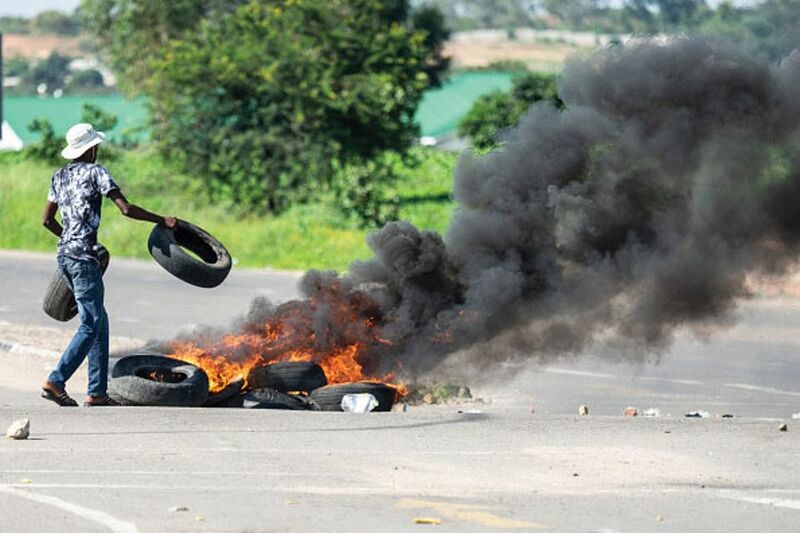 President Emmerson Mnangagwa’s announcement of a huge jump in petrol prices in January saw protests and reports of a violent crackdown by authorities, with social media and internet servers shut down. Mlotshwa says her own work had forced her into exile under Mugabe. “The new president and the changes that happened—meaning the removal of Mugabe—create an opportunity to rebuild the country and present the best Zimbabwe has to offer through culture. I strive for this regardless of the current state of things,” she says. Bulawayo, known as the “city of kings”, is the capital of the Ndebele province of Matabeleland and is home to a branch of the National Gallery of Zimbabwe, occupying the historic Douslin House. Mlotshwa’s plans for the biennial include 60 artists showing their work in pavilions and public spaces covering the performing arts, architecture, design and environmental projects. Its title Sabona, means “I see you” in the Zulu language, she says. In 2004, a biennial was staged in the Zimbabwean capital of Harare, but financial problems meant there was no repeat, although the annual Harare International Festival of the Arts also has some visual art content. Despite the trouble in their home country, Zimbabwe’s artists have won growing international exposure. In 2011, the country had its own pavilion at the Venice Biennale for the first time and, under the National Gallery of Zimbabwe curator Raphael Chikukwa, the country returned to Venice for the 2013, 2015 and 2017 editions of the Biennale. Zimbabwe’s Modern and contemporary art scene partly has its roots in the Cyrene Mission, outside Bulawayo, where, in the 1940s, the Scottish missionary Canon Ned Paterson made art classes compulsory for students in his school, several of whom became important Zimbabwean artists. Mlotshwa has joined efforts to restore murals at Cyrene, painted by Paterson’s pupils. The Zeitz Museum of Contemporary Art Africa in Cape Town, South Africa, is currently holding a major exhibition on Zimbabwean artists called Five Bhobh: Painting at the End of an Era (until 31 March). It includes works by 29 artists including Cosmos Shiridzinomwa, Richard Mudariki and Charles Bhebe who was represented in the Zimbabwe pavilion at the Venice Biennale in 2017.